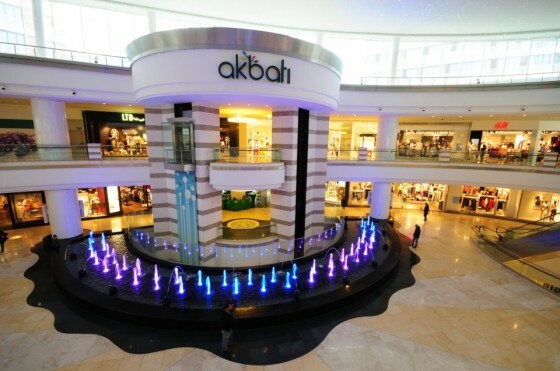 Akbati Shopping and Lifestyle Center brings new meaning to the istanbul west side shopping and raise the living standard of the area with its modern design and shop mix that you will sense the Akmerkez experience and quality in every step. Akbati shopping and Lifestyle will be Istanbul’s 5th largest shopping and lifestyle center, two times bigger then Akmerkez and the biggest mall from Ikitelli to Beylikduzu. Concep design held by the Akmerkez’s creator American Development Design Group and shop mix composed by French retail consulting group. The new Akbati Shopping and Lifestyle Center project in Istanbul’s Esenyurt-Bahçeşehir area is a $220 million investment. The Akbatı Life and Shopping Center consists of 348 residences and common living areas and social facilities rising over one of the largest and most modern shopping malls of Istanbul. The new building is constructed on 50,838 square meters of land with a total gross construction area of 242,000 square meters. The residences are in the 21-story “blue tower” and the 11-story “green tower,” and the size of these flats ranges from 67 square meters to 571 square meters. The cheapest apartment is around TL 67,000, with the most luxurious suites costing TL 1.85 million. The company bought the land for the new mall from the Esenyurt Municipality in 2006 for $22 million. Unlimited entertainment and new shopping experience. Akbati Shopping and Lifestyle Center is a 4 story mall for 300 retail stores and 3000 car capacity parking. With a total construction area of 240000 m2, 63.500 m2 shopping center, 8.400 m2 Hypermarket and a 9 Cinema screen movie theatre. The turnkey in Akbatı is expected to start in 2011, while the shopping center is likely to open doors for visitors in the same year. Akkök Group is the creator of the Akmerkez Shopping Center on Istanbul’s European side and the Akasya Acıbadem project on Anatolian side of the city. Istanbul has been a rising star in Turkey for the last 25 years in shopping centers and are another attraction in the real estate sector in recent years. The investments in shopping centers in Istanbul is expected to increase the coming years.